NYC garage doors aren’t something that homeowners buy very often, so knowing how to approach the process can be tough. To avoid the ups and downs of the unknown, below are some things to keep in mind when shopping for NYC garage doors. 1. How much do NYC garage doors cost? 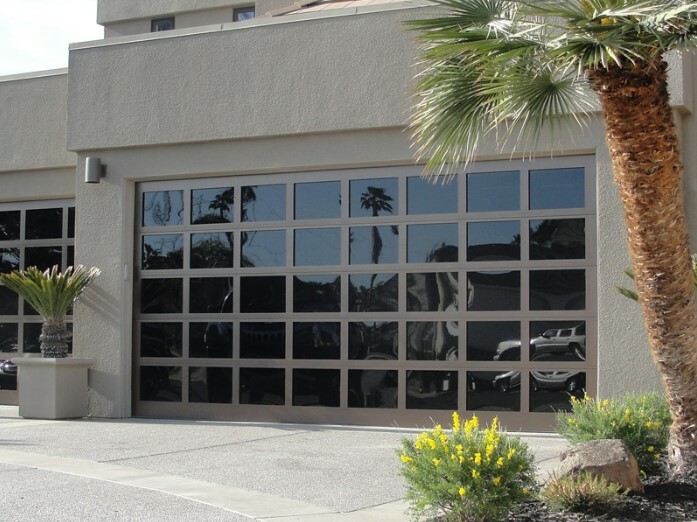 Aluminum NYC garage doors: Rust-resistant aluminum is ideal for humid, caustic environments. Replace solid panels with frosted glass for a modern look. The average cost for a 16-by-7 double door is $1,500 to $2,000. Steel garage door: NYC garage doors made of steel offer the broadest range of color, insulation, and price options. You can get anything from an entry level, single-layer, non-insulated door up to a premium three-layer, 2-inch polyurethane insulated door. The average cost for a 16-by-7 double door is $750 to $3,500. Wood garage door: There’s no substitute for the distinctive look of wood. It’s typically made of moisture-resistant cedar, redwood or cypress and offers the most flexibility for custom designs. Depending on climate and exposure, wood doors require more maintenance. The average cost for a 16-by-7 double door made of quality wood is $1,200 to more than $4,000. Composite wood garage door: A durable, low-maintenance material that looks like real wood, faux wood composite eliminates many of the drawbacks of natural material. It’s moisture-resistant, so it won’t rot, split, shrink, separate or crack. It’s insulated, and can be painted or stained. The average cost for a 16-by-7 double door is $1,200 to $2,200. Installing a garage door without the proper training, experience or equipment can lead to a serious injury or costly repairs. 2. Should you buy an insulated garage door? Most garages aren’t heated, but your garage door still impacts your home’s energy efficiency. Construction materials and insulation technologies for NYC garage doors have improved significantly over the last five to 10 years. Today’s doors provide a tighter seal against the façade to keep out the elements. If your garage is attached to the house, your best bet is to purchase an insulated door, especially if there’s an occupied room above the garage. It will help reduce both noise and the utility bills. Also, consider the direction your door faces. If it’s baking in the sun all day or getting blasted by the wind, an insulated door will better regulate the temperature inside. When shopping for NYC garage doors, consider coordinating with the entry door for an overall cohesive look. 3. What’s the safety factor for the garage door? If you live in a high wind or hurricane-prone area, make sure your garage door can withstand the elements. Although hurricanes aren’t too common, Sandy proved that there’s always a chance for a natural disaster. NYC garage doors must have additional bracing, heavier gauge tracking and other necessary hardware to help keep them in place under extreme winds. If you’re buying a new door, look for models that are “storm ready” with a built-in passive reinforcement system, which requires no advance set-up before a storm. Installing a new garage door can increase your home’s curb appeal, save energy and keep your family safe. 4. What else do I need to know before buying a garage door? If you’ve never purchased a garage door before, here are some common misconceptions: Buying a garage door opener is a separate purchase and is not included in the price of a new garage door. However, most garage door installation companies also sell openers. Are you interested in carriage house doors, but think you lack the room for doors that swing open? Carriage-house style doors only look like they swing open. They actually move up and down on a standard track, just like every other garage door. Be sure to ask if the cost of the garage door includes installation. Most likely, it will. 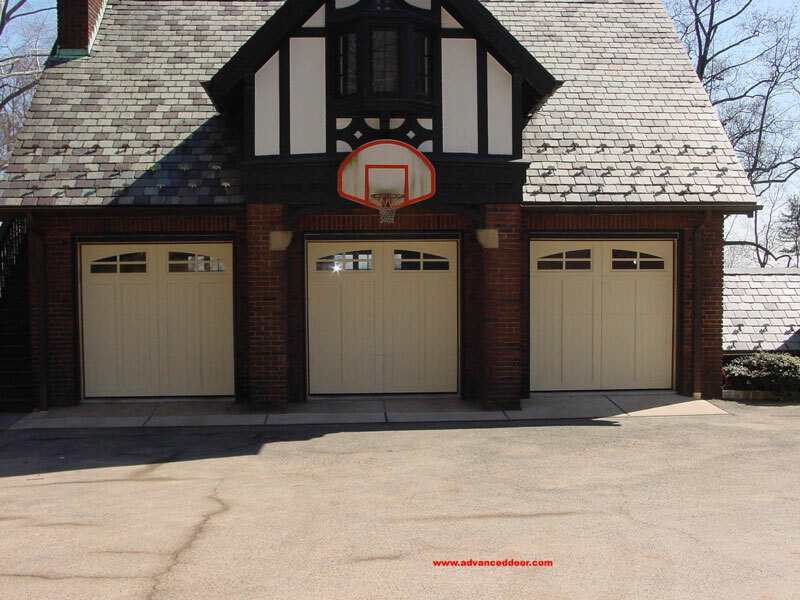 Looking for the Best Quality NYC Garage Doors? Looking for the best NYC Electric opener Repairs service? You need to contact a NYC Overhead Garage Door Company. Giving your home the added enhancement of a new garage door is one of the best investments you can make. But a broken garage door can be the result of years of wear and tear on the door mechanics. You may need to replace the door, or have it repaired. A faulty garage door can affect the security of your home. There are several reasons why your garage door is not in good working order. Here are a few to look at. If your remote control is not opening your garage door you need to check to see if the transmitter inside the garage mounted on the wall is working. If it opens the door, the handheld transmitter may need a battery replacement. Once you have removed the old battery and replaced it with new ones, check to see if the door opens. If the wall switch is not responding it could be a power issue. If the wall switch is broken, it could be the switch itself or the wiring. When it comes to electrical, it is important to contact a professional to do the job correctly the first time. 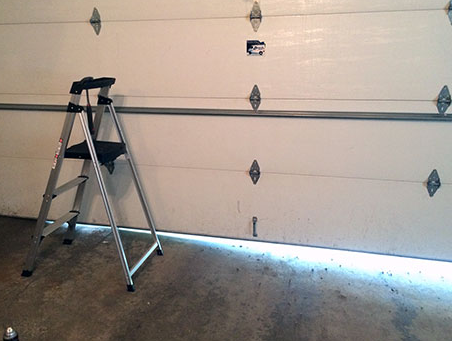 A common reason why your garage door may not be working properly could be a faulty photo eye. If the alignment of the photo eye is not lined up correctly, the door will malfunction. When the light of the photo eye is flashing, there could be something that is blocking the path of the door. Removing any obstruction and adjusting the photo eye until the flashing light is no longer flashing, the door should work properly. When the garage door is not closing properly all the way, you may need to adjust the limit switch. Usually garage door openers come with a changeable switch that monitors how far the door should lower to in order to close completely. You need to easily adjust the switch increasing or decreasing how far the door descends when closing. Another reason why the garage door may not be working is that there may be a broken spring somewhere in the garage mechanics. Contacting a professional to inspect the springs on the garage door and evaluate if they needs repairing or replacement. There are a couple of reasons why your garage door is too loud and noisy. Hinges, rollers and springs may need some lubrication. A professional electrical door repair serviceman can assist in diagnosing the issue and replace the parts that need replacement. Also, a noisy garage door can mean that the door is off track. Check the track for any bends, bumps or gaps. When opening the door listen closely to hearing any squeaks. To fix this problem, loosens the screws that hold the track to it frame and gently tap the track back to the correct position, then reinstall the screws. That simple adjustment can fix it. If it is still off the track, contact a professional to properly fix the issue. Looking for an excellent NYC Electric Opener Repairs Company? NYC Overhead Door Company are a family owned and operated business for over 24 years. They have been serving the New York area with the highest quality garage door products. NYC Overhead Door Company is dedicated to serving their customer’s needs and bringing them the best in quality service 100%. 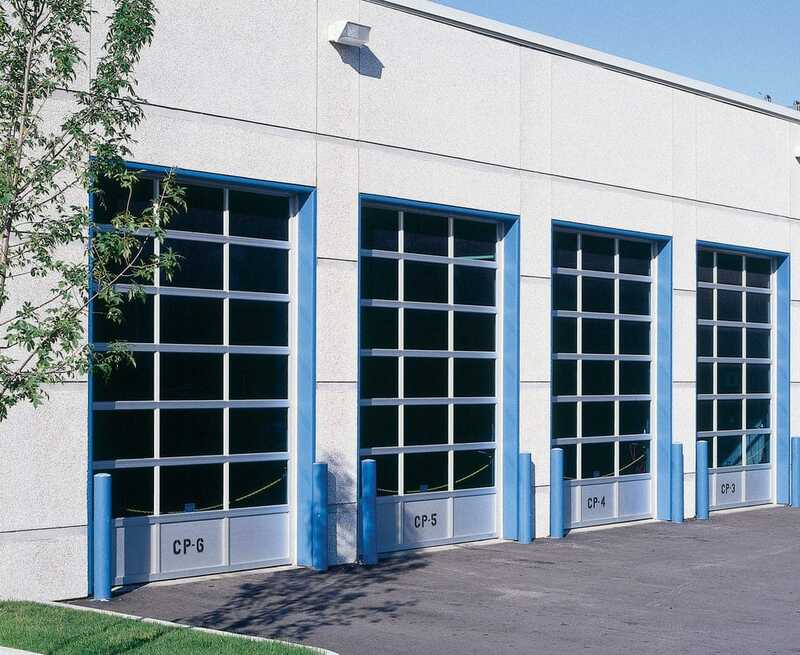 For more information contact NYC Overhead Door Company today at (973) 579-0043 or visit their website! Are you looking to have new garage doors installed at your home? Out of all the options available to you, Manhattan insulated garage doors may be one of the best options. There are several factors to consider that make insulated doors a solid choice. Here are some reasons that you should consider getting insulated garage doors installed at your home! Why Should I Get Manhattan Insulated Garage Doors? 1. Insulation: As the name suggests, Manhattan insulated garage doors provide good insulation. Many homeowners do not consider this to be a big deal because of the lack of time spent in the garage. What you may not realize is that you are still losing some energy through a poorly insulated garage. Many homes have a room above the garage and certainly rooms directly attached to it. This will allow cold or hot air to seep into your home and make these rooms harder to control. With more insulated garage doors, this is less of an issue and you will end up saving some money. On top of this, it opens up your garage to be a more usable space for other activities or hobbies you may have. It will also keep your car more protected from the environment which may help it to last longer as well. 2. Durability: Durability is another huge aspect to consider with your garage door. There are a lot of potential ways that your garage door may sustain damage between your car, your children, or other environmental factors. Insulated garage doors have a strong frame and are built differently than other garage doors and are lightweight but still less likely to be damaged. 3. Less Noise: If you have a garage, you know how noisy the garage doors can be. You’ll never fail to notice when someone comes in or out. While this may not be the feature that makes or breaks your decision, it’s still something that you may want to consider. Less noise may be important if you have young children or pets that are spooked by the sound. Interested in Manhattan Insulated Garage Doors? 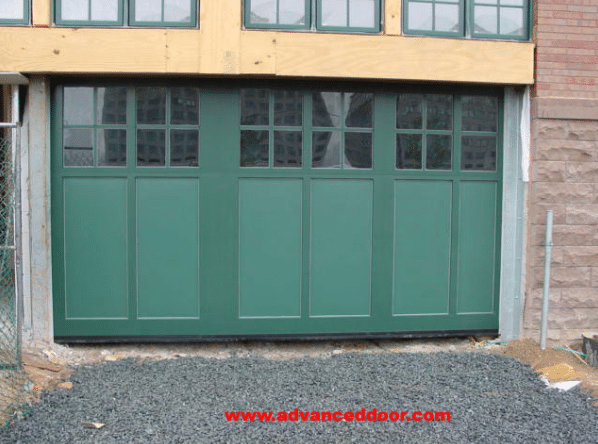 If Manhattan insulated garage doors are something that you’re interested in, contact Advanced Door today! Advanced Door is a family owned company that’s been around since 1998. They prioritize customer service and it’s their aim for you to be completely satisfied with the work that they do. For more information, contact them today by calling (973)579-0043 or visit the website!